Starting a new orchard can be exciting and rewarding. Fruit trees provide homes for wildlife and can help alleviate hunger. 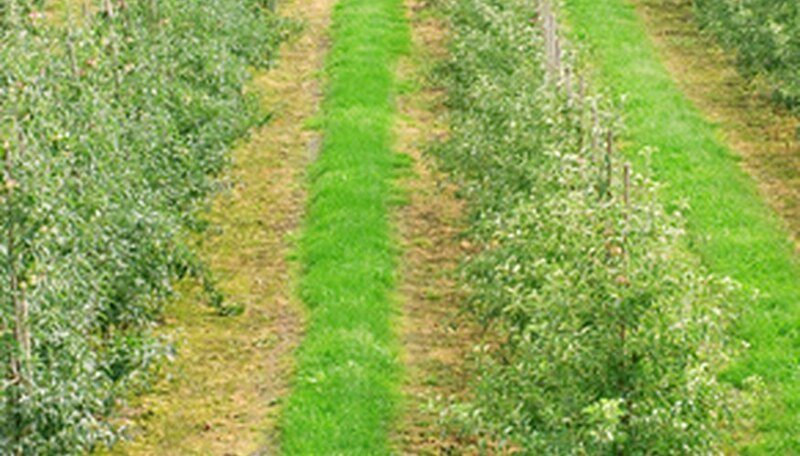 The downside is that planting an orchard is costly and finding money to fund a project can be difficult. Farmers who take the time necessary to apply for a grant can improve their lives and the community. The Orchard Foundation provides limited start-up capital and seed money for organizations that benefit the environment and children of New England states, specifically Massachusetts, Maine, New Hampshire, New York, Vermont and very rarely Connecticut and Rhode Island. This year-long grant provides $5,000 to $20,000 in funds. Previous recipients are able to make multiyear grant requests. Applicants should contact the department of the executive director of the Orchard Foundation by mail or email. The Fruit Tree Planting Foundation awards grants that cover all planting materials, equipment and labor costs. Grants are given to nonprofits, public schools and government entities that own land and are planning to use the space for a community orchard. To apply for a grant, fill out the application on The Fruit Tree Planting Foundation website. Recipients must assume full responsibility for the care and maintenance of the trees that are planted. Project Orange Thumb is a community beautification grant of up to $5,000 that has been funded by the Fiskars tool company since 2002. Civic organizations, schools, community centers and youth groups in the United States and Canada may apply. Grant money can be used to buy tools and materials for local orchard or gardening projects. Fiskars, perhaps best known for its knives and scissors, accepts online applications starting Nov. 1.